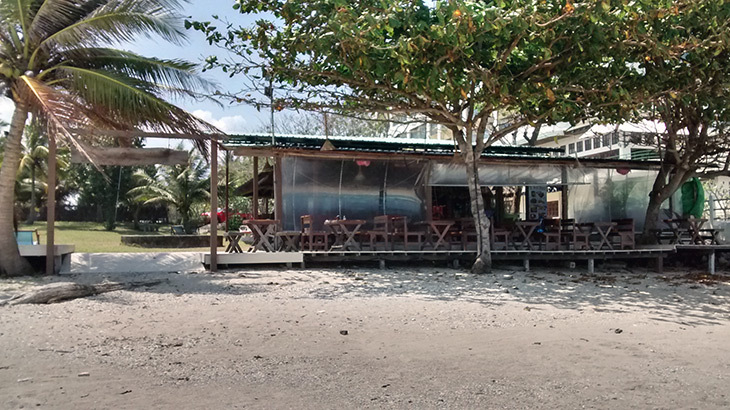 …The Beach Khanom Bar & Grill. Well, the big move of Twitterings home base is well underway. That would explain the lack of recent blog posts. Normal service will be resumed as soon as possible. It’s not a long distance move, just forty or so kilometers up the coast, or 36.7 according to Google Maps, if we need to be precise. The 37 minutes is quite accurate if Bert is fully loaded and I drive at a speed that does not cause my worldly possessions to fly of the back. Normally it would take … well … never mind. I suppose “up the coast” is not strictly accurate. 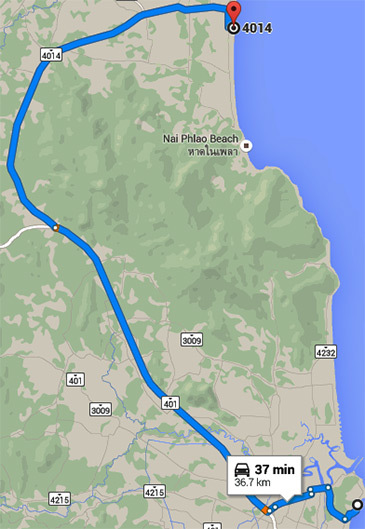 There are coast roads that go north from Sichon and south from Khanom, but they don’t actually meet. There’s about three kilometers where a mountain gets in the way. Pity. The views would be spectacular. But, not wanting any “fermented curd” or “cheesy comestibles” Bert and I tootled along to the closest restaurant, which just happens to be on the beach. 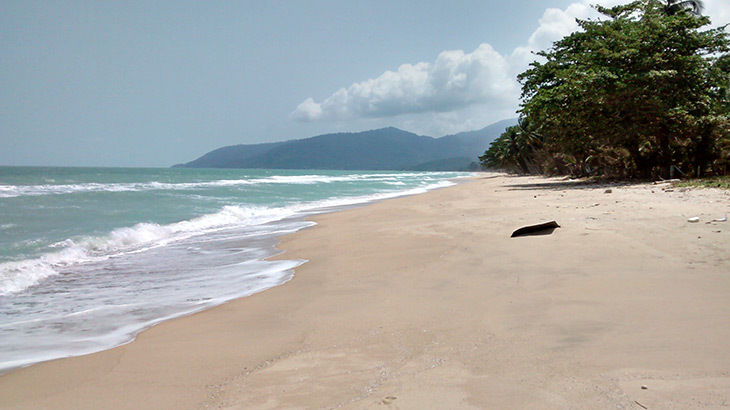 It’s only about 1km, and I know, I could have walked along the beach, but I was busy, it was midday and the sun was hot. Next time. 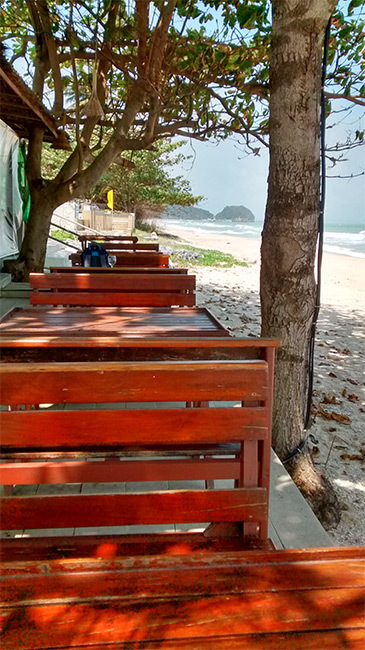 The aptly named “The Beach Khanom Bar & Grill” is a simple wooden affair in pleasant surroundings. The menu seemed extensive, but I just wanted a quick snack. 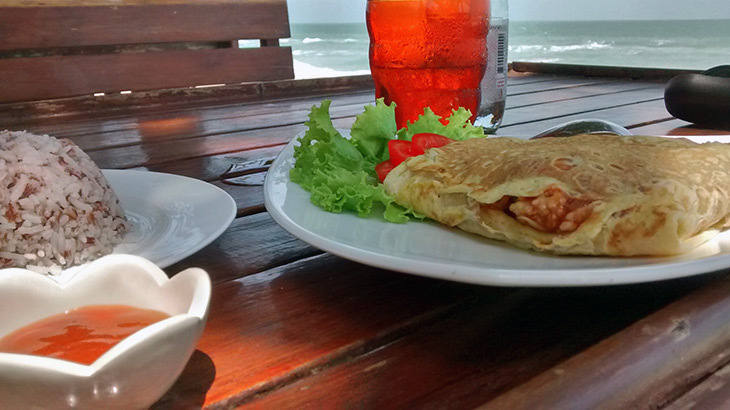 I ordered a stuffed omelet with rice, which was delivered promptly, was tasty, and pretty-much as advertised. I suspect I will become a regular visitor. Okay. That’s it for now. I plan to take a few days off from moving in order to do some more touring around Sichon before I leave, so please check back in a day or three to see if there are more articles.